So we are on a juicing and smoothie frenzy. Every day, we bring out the juicer and throw whatever we have in the fruit bowl, vege crisper or spice rack in there. The smell of the juicing is just beautiful wafting through the kitchen. We purchased some lovely organic beetroots from the farmers market and have developed a bit of an addiction to them. I’m famous (not really) for my chocolate beetroot cake, and love to make a beetroot soup in winter. Beetroot is so earthy and sweet at the same time and lends itself well to being the base to many different things as it doesn’t have a particularly strong flavour. 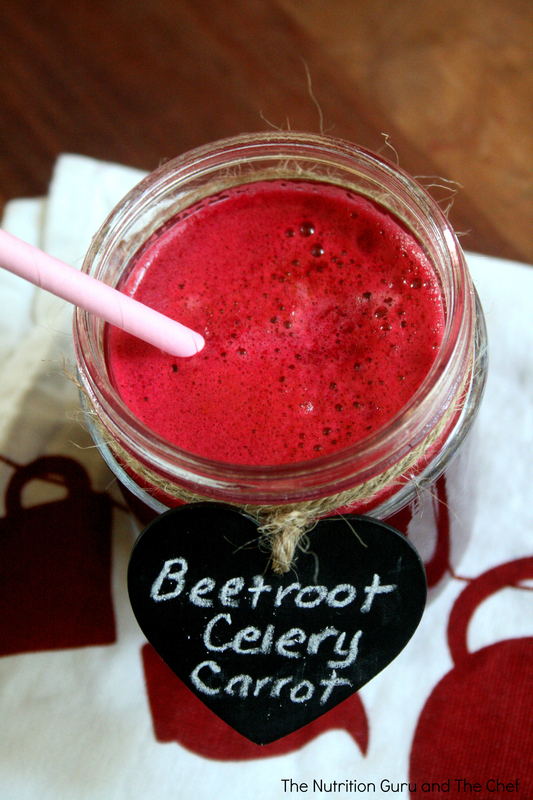 Nutritionally, beetroot is rich in antioxidants and phytochemicals which may help to prevent cancer. In particular, beetroot is high in the phytonutrient betalain which has antioxidant, anti-inflammatory and detoxification properties. 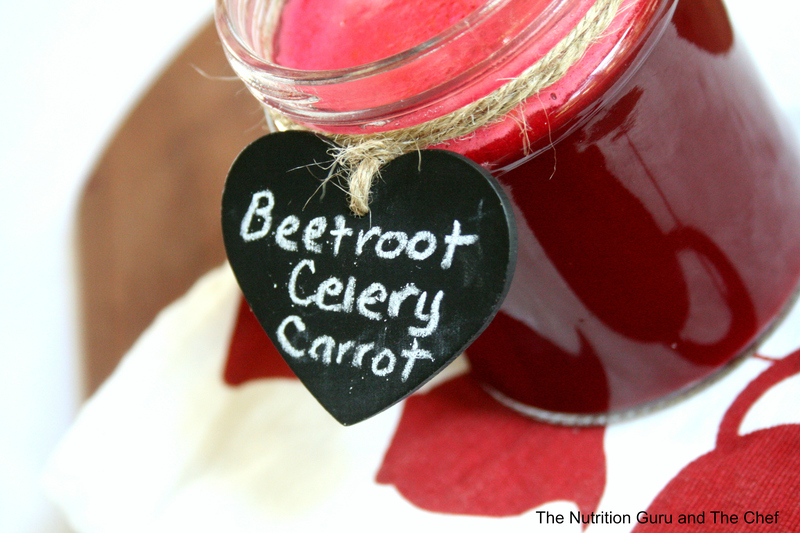 Betalains are reduced the longer you cook beetroots, which makes juicing them a perfect way to obtain the highest amounts of this wonderful nutrient possible. They are also high in folate, manganese, potassium and the immune boosting, cold and flu busting Vitamin C.
Interestingly, they also contain tryptophan – an essential amino acid which gets converted in the brain to the ‘feel good hormone seratonin which elevates mood and aids sleep. Tryptophan can also help to regulate appetite and reduce hunger. If you like this one feel free to Like it, share it, pin it or tweet it! You might also like to take a peek at our Beetroot and Berries smoothie. Yes do! It doesn’t have a strong flavour so when it’s mixed with sweet carrots, it’s delish!